The debates on the next multiannual budget of the EU for the period 2014-2020 enter the essential debates phase and the front lines are already drawn. 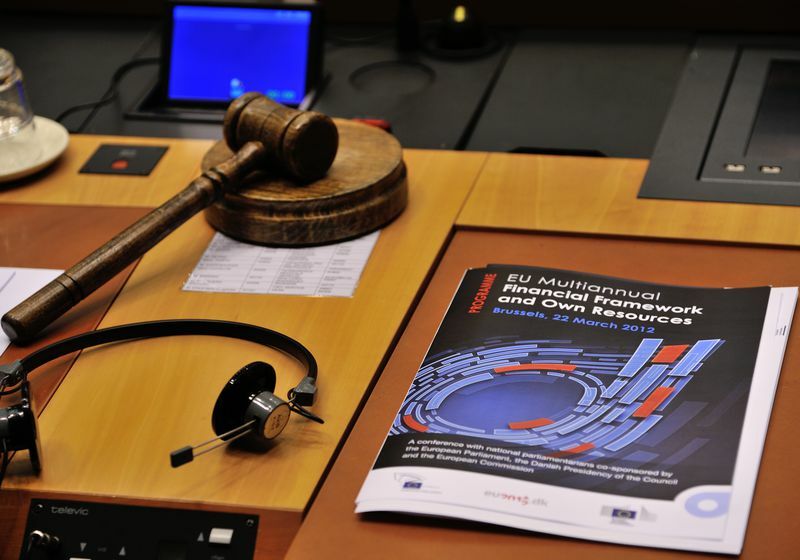 Last week in Brussels a second conference took place on the issue in which representatives of national parliaments and the European institutions participated. 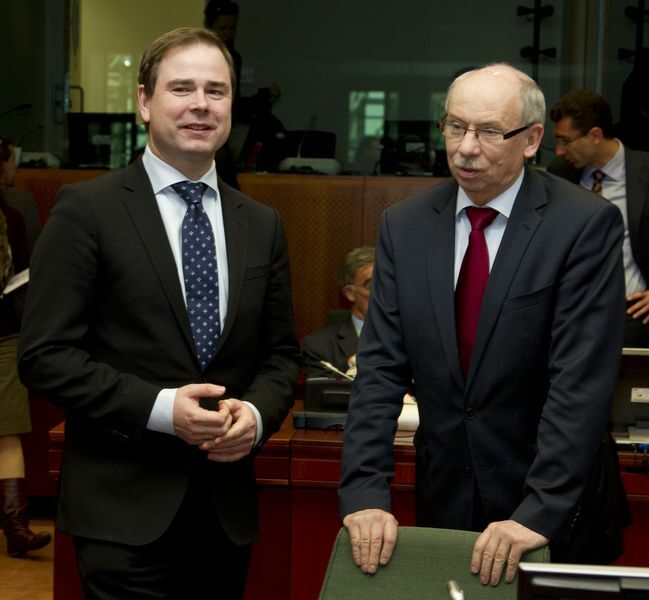 And this week started with a public debate of the headings of the budget in the General Affairs Council, representing the foreign and European affairs ministers. 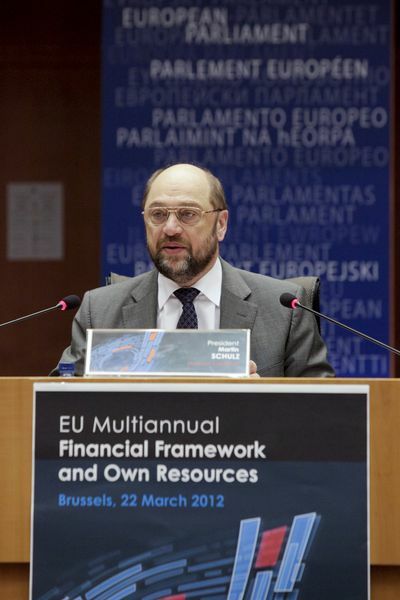 euinside wrote thoroughly about the main topics in the multiannual financial framework (MFF) and this is why I will draw your attention on one question which is always in the centre of disputes - the corrections mechanism. Of course, I will summarise the most interesting of the discussions last and this week. Every 7 years the European Union is dealing with the questions how big should the community budget be, what it should be spent for and how most fairly the money to be distributed to allow the Union to secure economic prosperity. It is not accident that its alternative name is financial perspectives, because the main function of the budget is to make investments, which deliver in the form of economic growth, employment and good global positioning. The discussions about the 2014-2020 is not an exception. 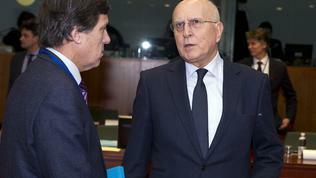 A main element of the negotiations, however, is how to make things fairer. At every level of enlargement the EU is a community of economies in various stages of development, but which participate in the community at relatively equal footing. The budget is formed on the basis of own resources, the biggest share of which is the contributions of national budgets. Another source is based upon VAT revenues and customs fees. In 1984, a memorable year for the then PM Margaret Thatcher, in Fontainebleau the principle of "fairness" was agreed. It stipulates that "expenditure policy is ultimately the essential means of resolving the question of budgetary imbalances" and that "any member State sustaining a budgetary burden, which is excessive in relation to its relative prosperity [gross national income], may benefit from a correction at the appropriate time". Subject of such corrections are five EU member states - Britain, Germany, the Netherlands, Austria and Sweden. The British case, though, is the most complex. The corrections mechanism is one of the most complex in the community budget in general and this is why in Brussels it is often said about the European budget framework that there are only a few people who know how it is formed. This is why the Commission proposes a new system to enter into force as of 1st of January 2014. The idea is the corrections mechanism to be replaced by lump sums, deducted from the contributions of the member states because this would make the budget much simpler and more transparent. The concrete sums will be based on current suggestions and will be independent from the introduction of the system of own resources (financial transactions tax and VAT). The Commissions arguments are that a large part of the reasons that until now justified the corrections mechanism are irrelevant now. For example, the principles of Fontainebleau are based on the fact that at that moment in time Britain was one of the poorest member states but also one of the biggest net contributors to the EU budget, then consisting mainly of agricultural spending (60% of the overall budget). At that time Britain contributed much greater amount of money to the European system of financing, relying strongly on own resources from VAT, the base of which was too big in Britain. Since 1984 however, the situation has changed dramatically. The share of the Common Agricultural Policy (CAP) in the European budget for 2011 is 44% and funding through VAT has dropped remarkably. Moreover, the Commission notes, at the Moment Britain is one of the affluent countries. Well, if you ask conservative PM David Cameron, himself an admirer of Margaret Thatcher, and if we judge from Britain's budget for next year, Britain indeed is a poor nation. 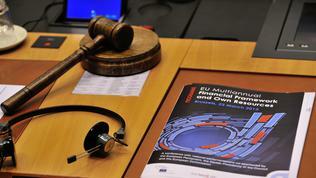 During the MFF conference last week in the European Parliament the issue about a reform of the corrections mechanism was again raised. About this hinted even Danish PM Helle Thorning-Schmidt, who said that fairness did not mean every member state to be obsessed by its own net position. "Solidarity is an important principle", she underlined. 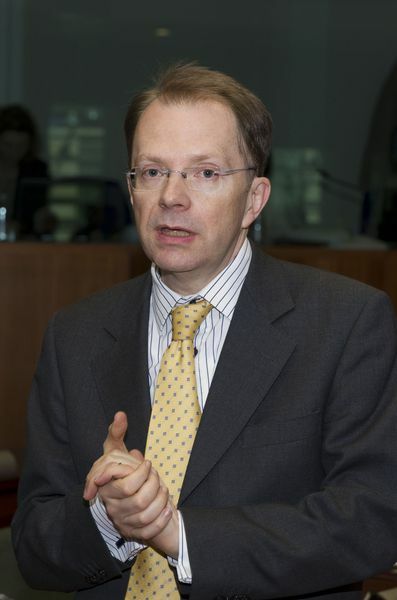 Remarks, obviously aimed at the big net contributors to the European budget and Britain in particular, which still has not raised the issue of its rebate but defends a strong position in support of limiting spending in the European budget to reflect the belt tightening policies in many member states. According to the chairwoman of the Committee of European Affairs in the Danish parliament, Eva Kjer Hansen, the current system of corrections is not fair and is not a sustainable solution. She called on the countries, which benefit from corrections, to move from their positions. The chairman of the same committee in the Czech Senate also announced that he supported the abolition of all corrections and rebates. For the Czech Republic this is an official position, expressed during the deliberations in the General Affairs Council on March 26. 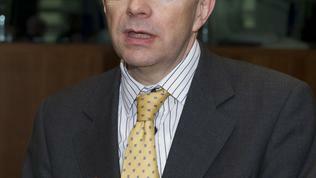 A representative of the national parliament of Lithuania also said that the corrections were outdated and were too many. According to him, though, it would be much more realistic their number to be reduced rather then the corrections to be entirely abolished. In general the disputes about the corrections mechanism are taking place in the context of the discussions about the own resources. 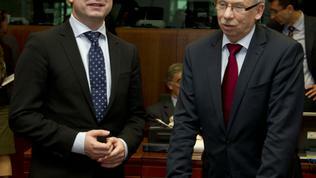 This is a topic which inflames the passions and is the apple of discord in the European Union, although the EU Tax Policy Commissioner Algirdas Semeta hinted that soon a compromise could be expected. By the way, there are not a few signals of softening of positions but it is interesting to see at the expense of what the compromise on the issue would be. According to two independent sources euinside spoke to, the Bulgarian position of firmly against the introduction of FTT has softened drastically. Regretfully, the Ministry of Finance did not respond to the number of questions of ours on the issue. In the end of the day we found out that, may be, there is no shift of the position against the tax but a new element is added to it: if after all the tax is introduced then Bulgaria is not against this tax to be used as own resource for the EU budget. As you know, the European Commission has come up with a proposal for the introduction of a financial transactions tax, which is expected to deliver revenues of circa 57 bn euros. 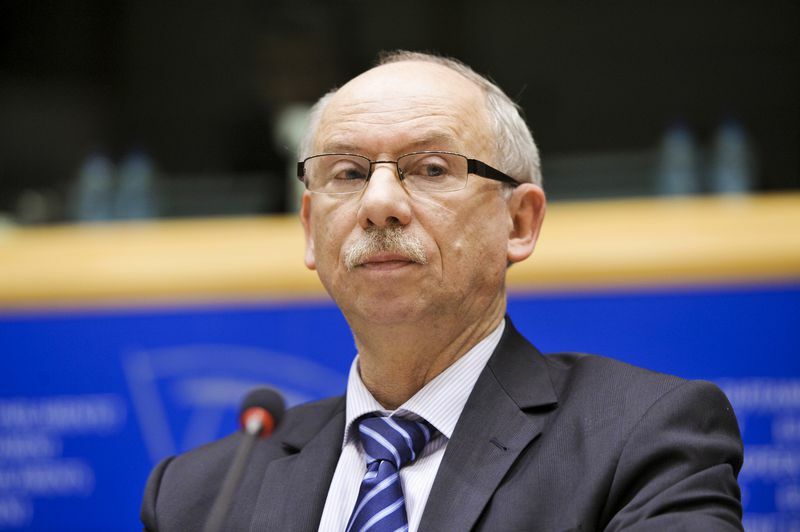 EU Budget Commissioner Janusz Lewandowski announced last week that if FTT was introduced as an own resource, the national contributions would be halved or would drop by totally 54 bn euros in 2020. 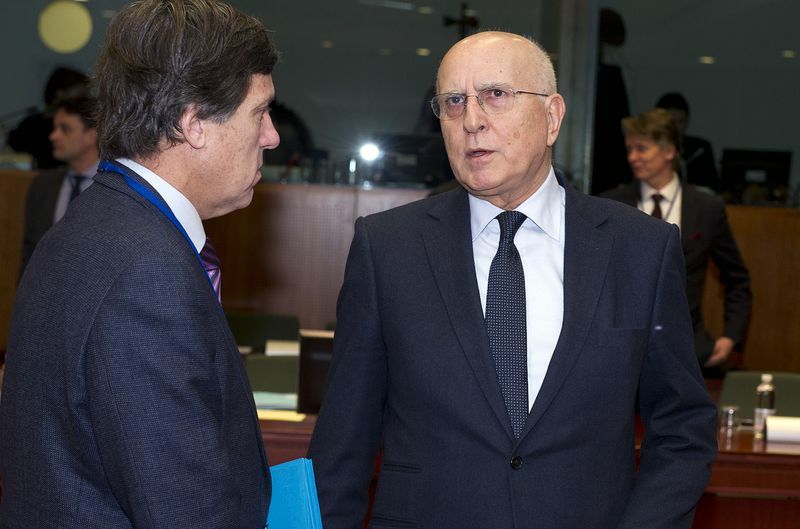 The Commission's proposal is two thirds of the FTT revenues to enter the European budget, reducing with the same amount the national contributions, which are based on gross national income, and the remaining one third to be retained by the member states. 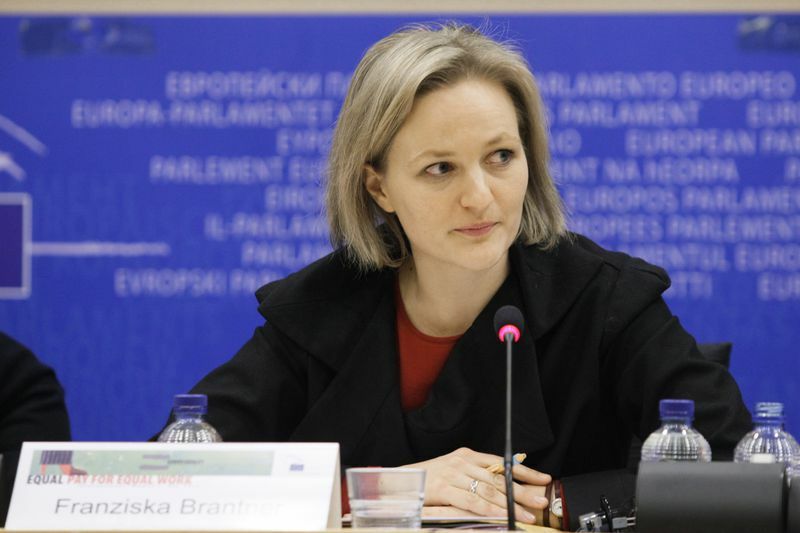 According to Franziska Katharina Brantner from the group of the Greens in the European Parliament (Germany), this means 100 percent refunding of the member states, making the exercise useless. The Commission's calculations show that, if the FTT is introduced, Bulgaria's contribution for instance would be reduced by 176 mn euros. Britain's would drop by a bit less than 8 bn euros, Germany's by over 10 billion. You can see the calculations by country here. 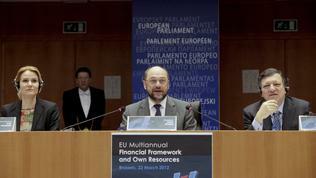 At the opening of the conference, the first session of which was dedicated precisely on the own resources, European Parliament President Martin Schulz read the provisions of Article 311 of the Treaty of the EU, which stipulates that the EU has to provide sufficient own resources in order to implement the objectives and policies and to be funded by own resources. 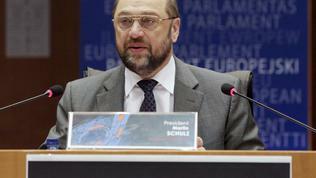 Mr Schulz emphasised that even the net contributors had ratified this treaty. "The own resources will put an end to the constant controversies with the net contributors", he added. This is the amount which several member states asked the Commission's proposal to be reduced with, totalling at the moment of 1 trillion euro. With the demand of 100 billion reduction, the overall size of the budget would come closer to the level of the current framework (2007-2013), a little over 900 bn euros. Probably it will not come as a surprise to you if I tell you which countries want that - the Netherlands, Germany, Britain and also some of the Baltic states and the Czech Republic. 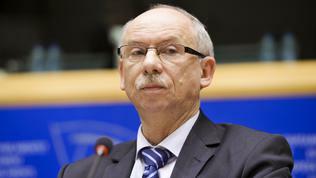 It is important to note that still there is no agreement among the member states about how the budget to be discussed. Therefore, the EU is divided into two camps - of the countries that prefer the top-down approach, meaning first the total amount to be discussed and then the headings and priorities (most rich countries prefer that approach), and the other group, supported by the European Parliament, insists on the opposite approach - first the priorities to be discussed and then the total size. Germany is already applying the first approach in the negotiations, using every occasion to state that the total amount should not exceed 1% of gross national income. 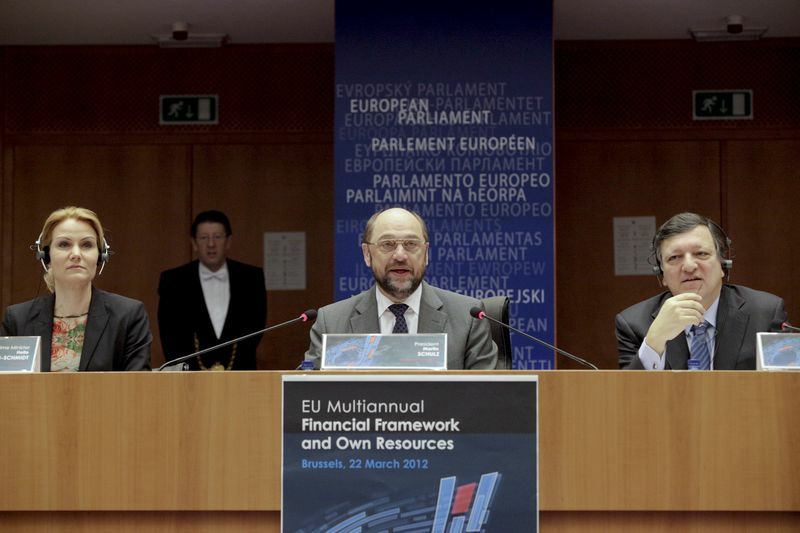 The proposal of the Commission is for a budget of 1.05% of GNI in the form of commitments and 1% as payments. However, there are instruments, taken out from the framework, which if it comes to be financed will inflate the budget to 1.11% of GNI. Those are the emergency aid reserve, the European Globalisation Fund, the solidarity fund, the reserve for crises in the agricultural sector, etc. The same position took the Czech Republic too. The Netherlands demanded, aside from reduction of the total budget by 100 billion, but this to affect all the five headings: smart and inclusive growth; sustainable growth and natural resources; security and citizenship; Global Europe; administration. Slovenia opposes this approach, explaining that it is too early to discuss the total amount because this would shift the focus away from many important issues. Serious differences emerge among the member states on Heading 3, which is related to security. Quite naturally the countries from the south periphery of the Union asked the money in this heading to be maintained, with a focus on assistance for migration and asylum. Those are the countries, subjected to very strong migrant pressures from North Africa, especially after the democratic changes there. As loudest speakers of this group emerge Spain and Portugal. A common solution must be sought in the reform of the Schengen legislation, because according to the current provisions these countries are under greater financial burden because they are obliged to take back migrants, which spread throughout the EU via them. As the representative of Cyprus explained, which will take over the EU presidency as of July 1st, "asylum and migration are a collective responsibility of the EU". In this context, that group of countries defends keeping the funding for the neighbourhood policy and more specifically asks for priority funding for the countries of the South Mediterranean. This is to some extent in conflict with the view of the Eastern countries of the EU, for which priority are the countries from the Eastern Partnership and the pre-accession instruments for the Western Balkans. 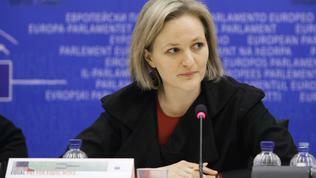 By the way, Croatia, which signed its accession treaty but will become the 28th member state next year, until when it is only observer, also took part in the discussions and said that the instruments in support of democratic processes in the countries from the region proved to have very positive effect, including on Croatia itself, and this was why they must be maintained. Croatia also said that next year it would become the country with one of the longest external borders of the EU and this was why it supported maintaining the money for external border protection. Another front line, which has already emerged not that much among the member states themselves but between them and the European institutions, is reduction of the budget for administration of the EU. France was first to raise the topic during the debates on Monday, saying that in Heading 5 additional efforts could be made to cut spending. By the way, Bulgaria too supports a 5% reduction of the budget of all institutions, while in the same time the geographical balance is maintained. 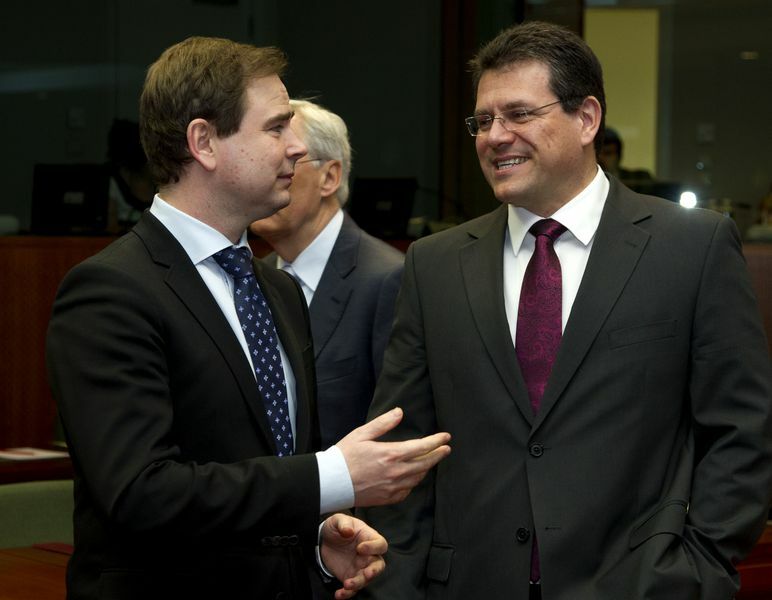 Institutional Affairs Commissioner Maros Sefcovic was indignant with these demands, pointing out that in the Commission proposal spending cuts of 9 bn euros were envisaged by 2020, which was a significant step in his words. He recalled that the member states assigned to the Commission additional tasks last year, after the reform of economic governance and now it has to follow closely the implementation of commitments, of the economic policies of the member states, to regulate the markets, to take part in bilateral free trade disputes and all this in 23 languages. Although the above mentioned front lines are not all that are being raised in the MFF discussions so far, I will give you only one, on which for now there are no arguments but only clearly stated positions - money to be envisaged for decommissioning for the countries that had to shut nuclear capacities down. Those are Bulgaria, Lithuania and Slovakia. Lithuania not for the first time initiates a debate on MFF precisely with this issue, which it defines as politically the most important one for the country. The Commission, Lithuania claims, does not stick to its commitments to ensure adequate funding, as is enshrined in the accession treaty for the closure of the Ignalina nuclear power plant. In the Commission proposal totally 700 mn euros are envisaged for decommissioning. In the current framework 375 mn euros are allocated for the Jaslovské Bohunice in Slovakia and 865 mn euros for Ignalina in Lithuania. 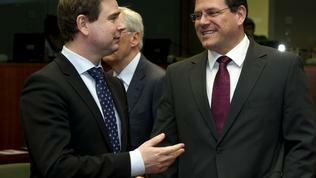 This issue was raised also by Slovakia and Bulgaria on Monday. The three countries were supported by Poland. Commissioner Lewandowski said he took note. On Monday in the Council again were drawn conflict lines on the issue of the priorities outside the framework with a demand to be returned inside and about the macroeconomic conditionality, which will be discussed again further in the negotiations on MFF 2014-2020.